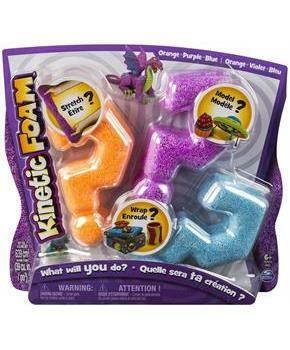 Wrap, stretch, bend, and create with Kinetic Foam! You can create any model you can imagine! Kinetic Foam can be air dried so you can keep your models forever. Kinetic Foam easily cleans up and comes with reusable containers to keep your Foam fresh. This Multi-Pack includes Purple, Orange and Blue Foam. Includes: 639 cm3 Kinetic Foam (39 cu.in./po3). Wrap, stretch, bend, and create with Kinetic Foam! You can create any model you can imagine! Kinetic Foam can be air dried so you can keep your models forever. Kinetic Foam easily cleans up and comes with reusable containers to keep your Foam fresh. 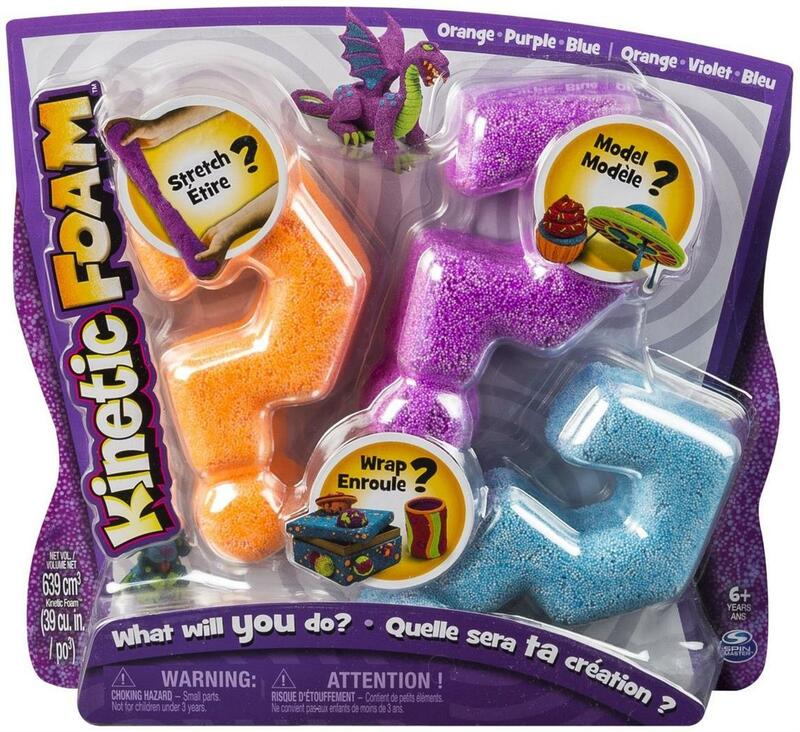 This Multi-Pack includes Purple, Orange and Blue Foam. Includes: 639 cm3 Kinetic Foam (39 cu.in./po3).